If you have suffered a personal injury in an accident in Oregon, chances are that your medical bills may quickly start piling up. Your monthly income flow may also be disrupted if you are unable to work due to your injuries. This is where the question will manifest itself on whether insurance will pay for your losses. However, in order to obtain a satisfactory settlement from an insurer in Oregon, you will need to show that the other party was at least 51% at fault for your injuries. Oregon follows the fault-based system to determine financial responsibility in personal injury cases. The type of insurance claim you will file in Oregon – a first party claim or a third party claim – will depend on who was at fault for the accident. If you were at fault, you would file a first party claim according to the insurance policies you hold. If another individual or entity was at fault, you would file a third party claim under the liability insurance of the at-fault person. A claim that you file with your own insurer is called a First Party Claim. A claim that you file under the insurance policy held by another person or entity is called a Third Party Claim. The insurance company will only pay the claim for the individual it covers (the policyholder). Liability coverage in Oregon pays the medical costs, property damage, and other costs of the other drivers, passengers, and pedestrians who may be injured in an auto accident that occurred because of your fault, up to the coverage limits. Beyond the policy limits, you are personally liable. You should know that in Oregon, your liability coverage will not apply to your own injuries or property damage in an accident. You may choose to have a different coverage for that, such as collision insurance (it is optional in Oregon), which can pay for the repairs or replacement of your damaged car following an accident. Personal injury protection (PIP) coverage usually pays your medical costs and some other out-of-pocket losses arising from an accident. This policy typically covers the policyholder and the passengers traveling in the policyholder’s vehicle at the time of the accident (unless they have their PIP coverage). Uninsured motorist or UM coverage will kick in if the at-fault driver is uninsured or under-insured, or if you have been injured in a hit-and-run accident in Oregon. However, the UM coverage does not apply to vehicle damage. How is an Oregon Personal Injury Insurance Claim Processed? If you have been involved in a car accident in Oregon, you should inform your insurance company about it as soon as possible. To obtain a settlement for your damages, you will have to deal with the insurance company of the at-fault driver. Many insurance companies allow claimants to submit their initial claim information online. You could also do it over the phone. After your claim is filed, the insurer will assign it to a claims adjuster, who will contact you to investigate the claim. The insurance adjuster will determine whether the insurer will pay the claim and for what amount. They will investigate which party is at fault for the accident, what is the financial value of your losses, including medical costs, property damage, loss of wages, and pain and suffering. As an injured party in Oregon, you should know that the insurance adjuster is not on your side, but on the insurer’s side. Their objective is to resolve the claim by paying you the least possible amount. Therefore, it is of utmost importance that you exercise discretion when speaking to a claims adjuster of the insurance company. Do not accept or admit blame for the accident. Do not downplay your injury. Decline to record a statement, if the adjuster asks you to do so. Once the insurance adjuster has completed their investigation, they will either deny your claim or offer you a settlement. They may use negotiating tactics to convince you to accept their settlement offer. If you accept it or sign on a settlement agreement, it will end your claim. If you have suffered personal injuries, it would be best for you to seek legal guidance from an experienced Oregon personal injury attorney. Your legal professional will represent your interests and negotiate professionally with the insurance company on your behalf. At first, the attorney will submit a demand letter to the insurer, spelling out what you consider to be a fair settlement and why. If the insurer refuses to negotiate reasonably or rejects your demand altogether, then you could consider filing an Oregon personal injury lawsuit through your attorney. In this type of situation, the court will review your case and award damages. Getting solid legal representation in Oregon is the ideal way to ensure that your legal rights are fully protected, and you receive the maximum possible personal injury compensation that you rightfully deserve. 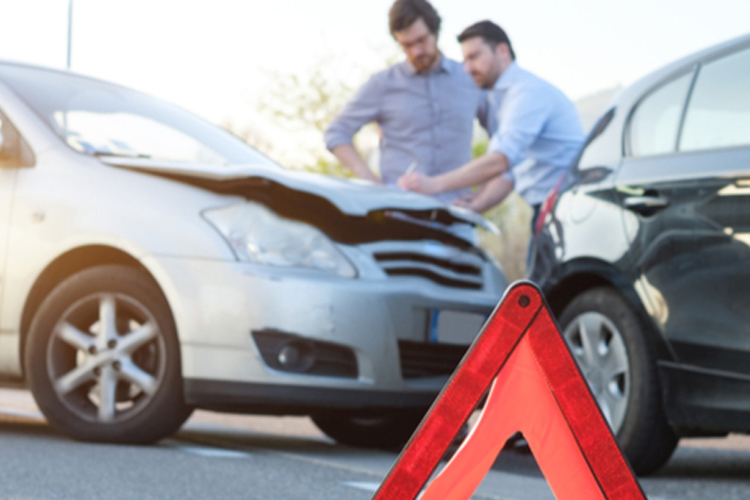 If you or a loved one has been injured in a car accident in Oregon, you should choose a qualified and proven personal injury lawyer who understands Oregon law and who will work to establish the at-fault party’s liability.